Quick help, which rim should i go with?? Ok my summer wheels are 17x7 gold rota boost's, i came across a guy with 17x7 white rota grids with the vinyl red lip. i can trade him this friday or i can keep my boosts. what should i do? this is my car with the boosts..
Re: Quick help, which rim should i go with?? i personally like the boosts better, since i used to have a set on my rx7. but if you want a change the white with the red lip would go awesome with the car. but i would keep the boosts. the white would look great, but they will be hard to keep clean. Id say keep the boosts. I really like those boosts. You car reminds me of a 240sx (95-98) with those, no offense intended. I like the style of the grids better, if those came in bronze I'd go with those, if not I guess I'd stick with what you have. I would vote for the grids. if you keep them clean, of course! GRIDS FTW!! knock off te-37's dude. they will look sick. you cant beat a red car with white rims. its an eye catcher. wait, those are grids? must be a weird angle because i didn't realize...in that case ditch the boosts for the grids!!! I say keep the purple blades! LMAO I like the gold ones. or sell me your grids..or ill give you my mb weapons and some cash? lol, purple wheels FTW! shutupppp!lmaooo i was bored with the look of my car. 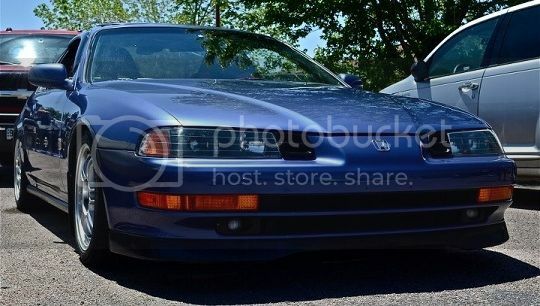 i think your lude sits perfectly already, not too low not too high, its in between, and you dont have to worry about scraping.